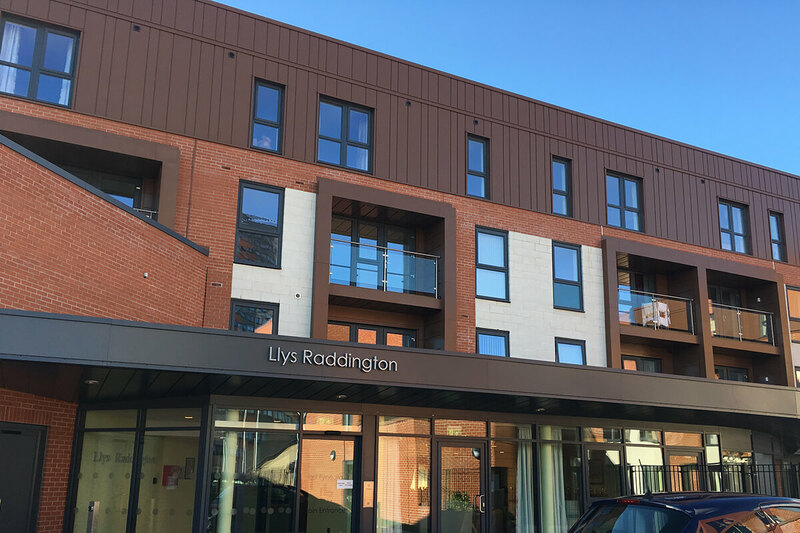 Llys Raddington provides an end to end solution to independent living with access to care for people aged 60 or over who either live in Flintshire or who have a strong connection to the County. 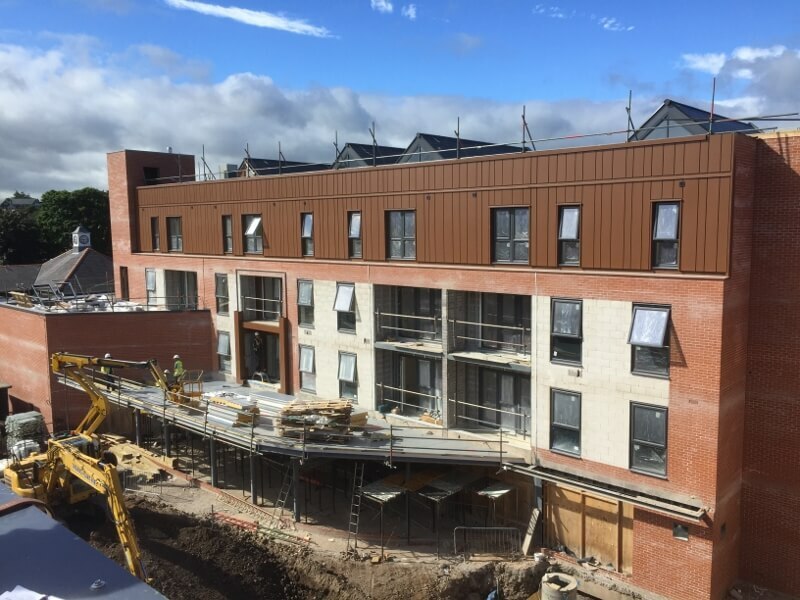 Alongside the 73 apartments, the building will also encompass a restaurant, laundry service area, multi-purpose activity rooms, lounge area, spacious corridors and assisted bathrooms. The building is constructed using driven concrete piles with ground beams and block & beam flooring and is a mixture of traditional masonry construction and steel frame. 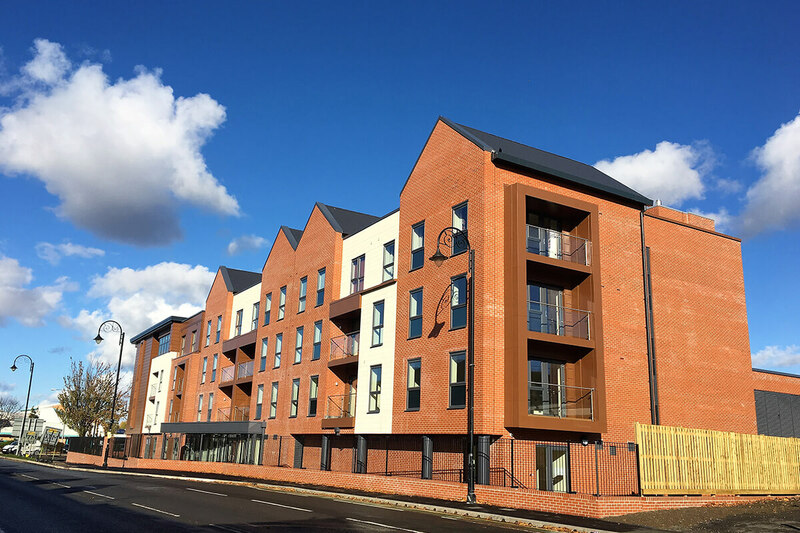 The external façade is built up of facing brick and blockwork. 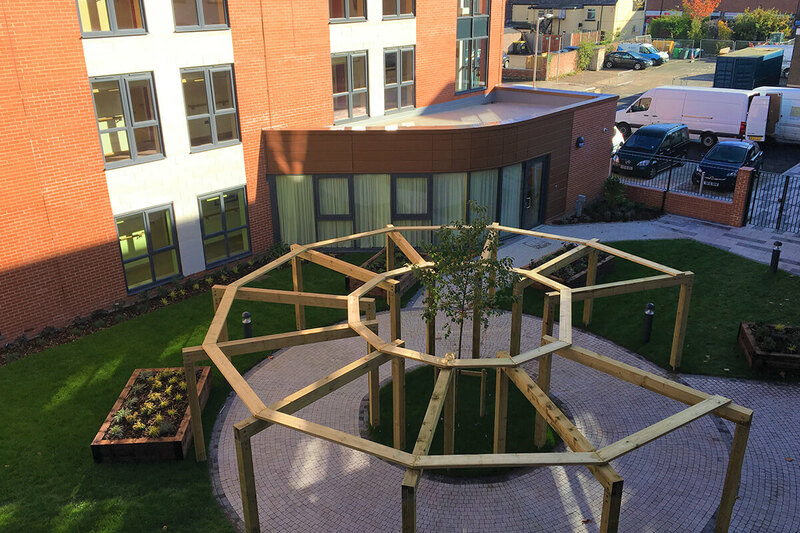 The courtyard and garden area is overlooked by residents balconies, creating a safe and inclusive environment for the residents. 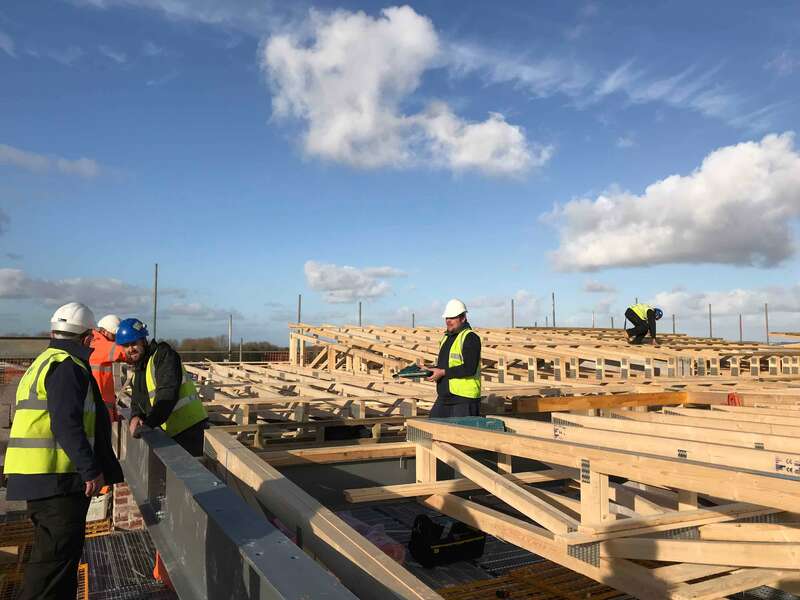 The scheme has been developed by Tŷ Glas Housing Society, part of the Pennaf Housing Group, in partnership with the Welsh Government and Flintshire County Council. 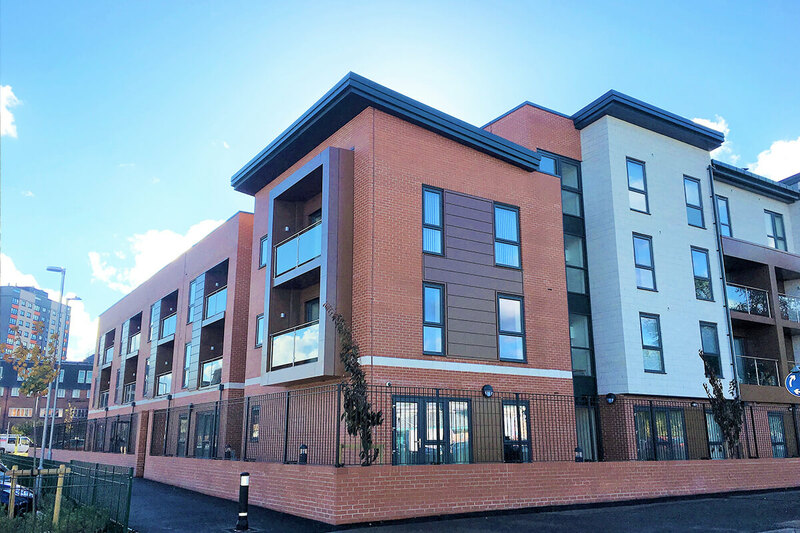 The value of this scheme is a £9.8 million and is part of the Social Housing Grant (SHG) Programme and the Welsh Government is providing £ 2.2 million towards the total scheme cost. 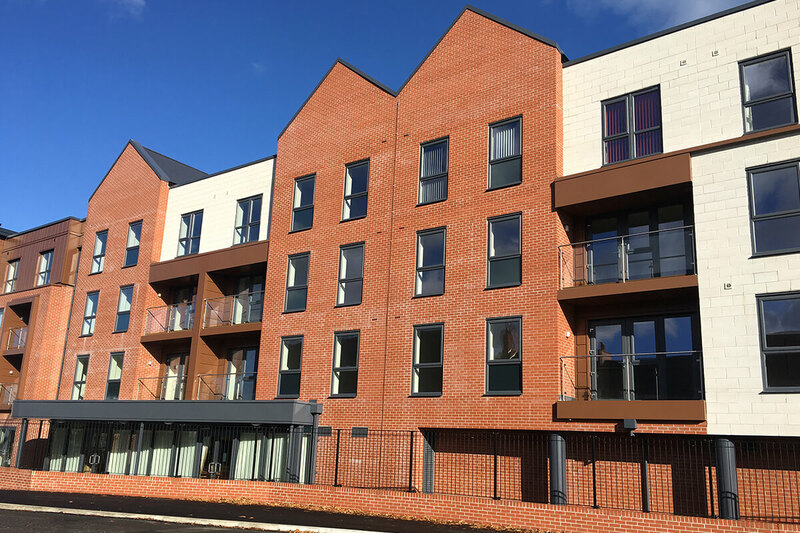 The partnership between the client, Pennaf Housing and Anwyl has brought the opportunity to work together to provide many community initiatives as a result of the contract. We have worked closely with Clwyd Alyn, a division within the Pennaf Housing Group, to deliver a number of positive community outcomes including: A job ready and careers advice workshop at one of their supported living schemes situated nearby the Llys Raddington site, providing the residents with the opportunity to ask questions about key skills such as interview techniques, confidence building and top tips for developing a great CV. The construction team have also engaged with students from Coleg Cambria Traineeships Programme to deliver a career talk with the students. 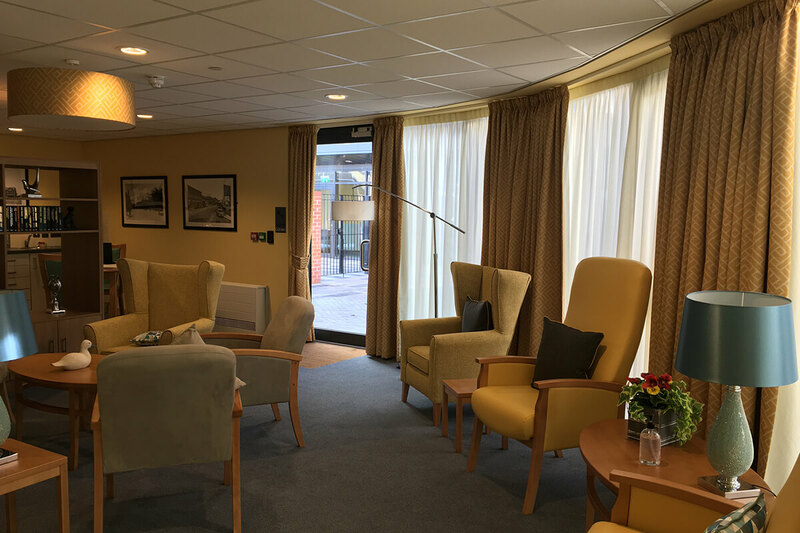 Other community activity on site has consisted of an ongoing food bank collection, creation and donation of a children’s block building game to the local library, and the attendance of various coffee mornings in support of Dementia Friends Groups. During the course of the construction our project scored 40/50 under the Considerate Constructors Scheme which is a testament to our commitment to contributing to the communities in which we work.